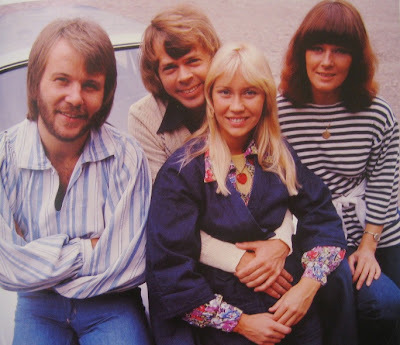 ABBA full of smiles promoting their Arrival album in London in the autumn of 1976. 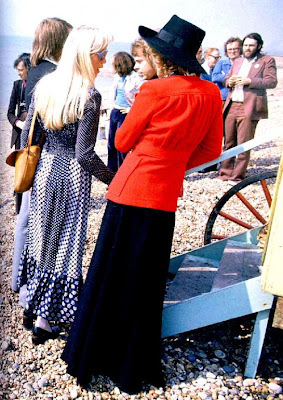 Agnetha enjoying a smoke and a conversation in 1974 while Frida does not seem to be enjoying the photographers all that much in 1979. 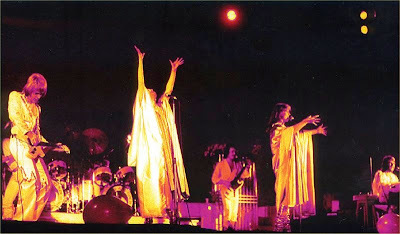 ABBA live on stage during the 1977 tour through Europe and Australia. 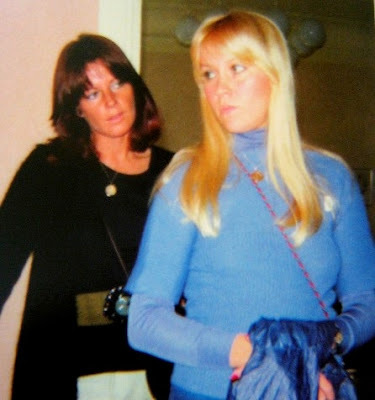 Frida and Agnetha looking either bored, annoyed or ticked off at the Polar office in 1976. 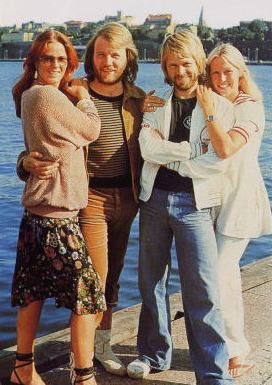 The ABBA butts in Australia in March 1977... WOW! 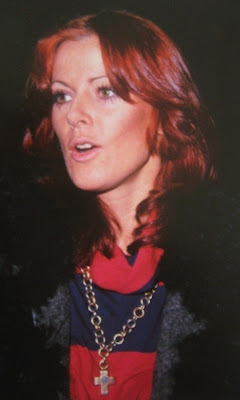 ABBA at the Melodifestivalen tv broadcast in February 1974. 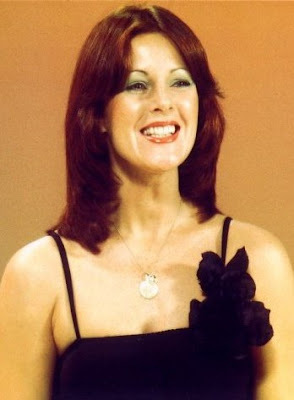 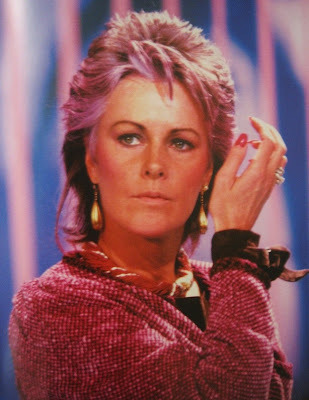 Frida in a deleted Knowing Me Knowing You video and Agnetha in her Money Money Money costume. 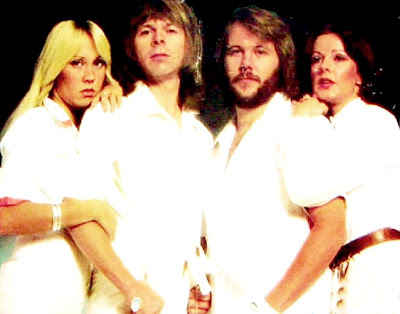 Moody ABBA with Staring Frida and Yellow haired Agnetha in 1976. 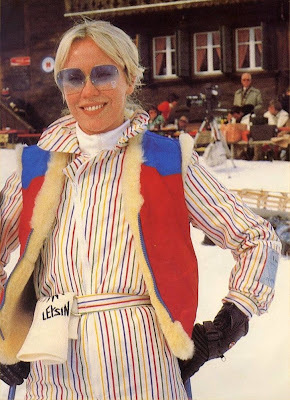 Frida and Agnetha in Leysin (Switzerland) in February 1979. 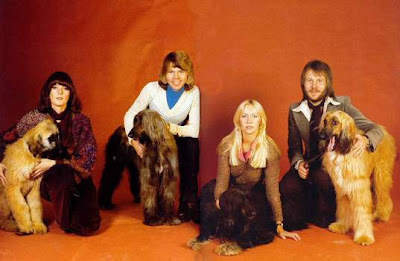 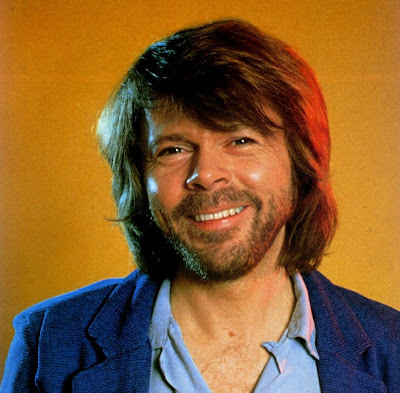 ABBA and dogs... not sure why... in 1975. 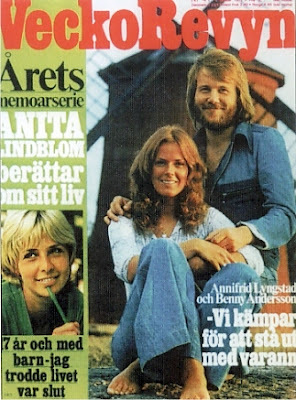 Agnetha and Benny both in 1978, Frida and Bjorn both in 1982. 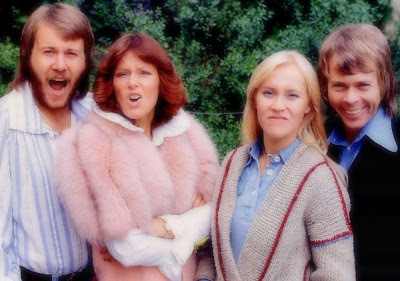 ABBA getting ready for their close up the day after winning Eurovision. 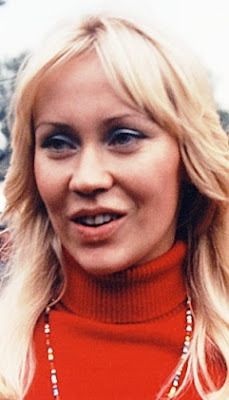 Agnetha in Poland (October 1976) and Frida in Holland (February 1977). 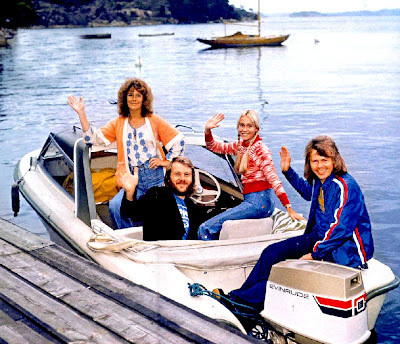 Vacation in Sweden (in the summer of 1974) so we have four winning smiles here! 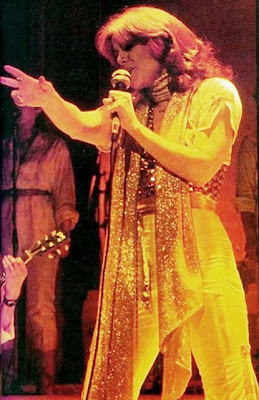 Frida and Agnetha on stage during the 1977 tour. 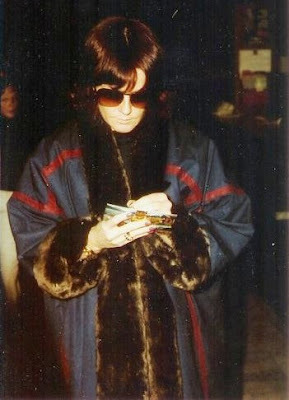 Come ooon... we are sooo done with this! 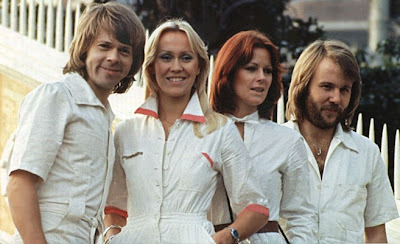 ABBA photographed by German photographer Bubi Heilemann in Hamburg in May 1975. 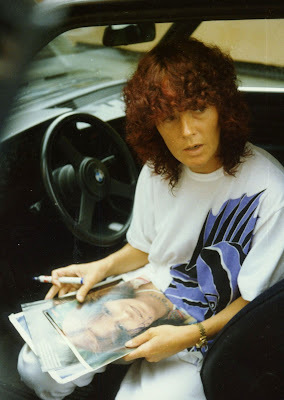 Of course it is once again Bjorn who does what is asked: smile! 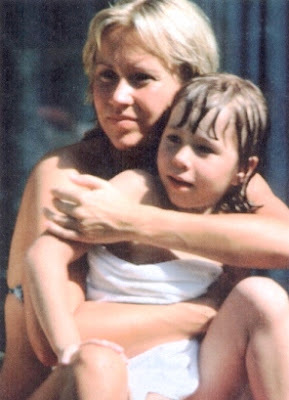 Frida with her daughter Lise-Lotte (11) in New York in January and Agnetha with her daughter Linda (6) in Los Angeles in September. 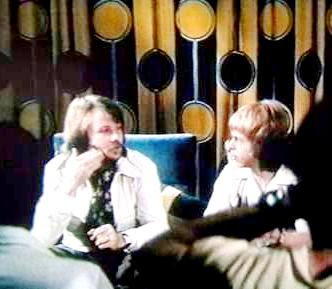 so what did Benny just say? 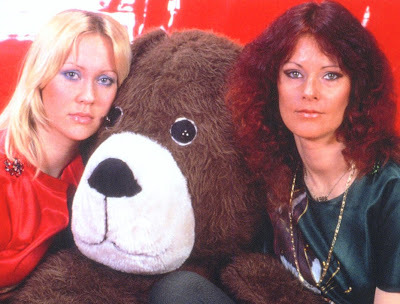 Agnetha and Frida with a teddy in April 1978. 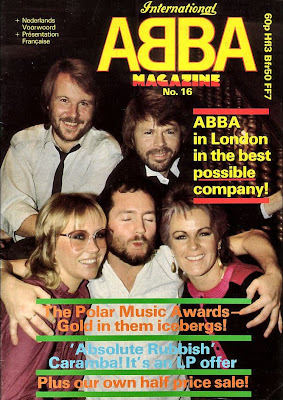 ABBA posing with dj Kenny Everett and ending up on the cover of the Official International ABBA Magazine! 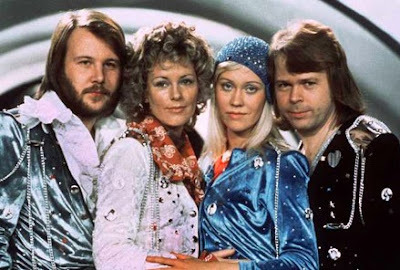 The foursome looking bored stiff while taking pics for the new Super Trouper album. 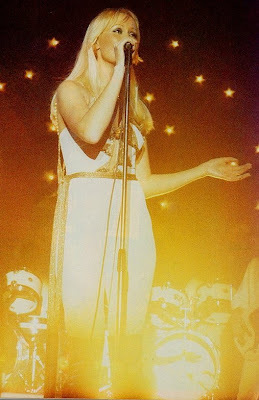 What exactly is Agnetha reaching for? 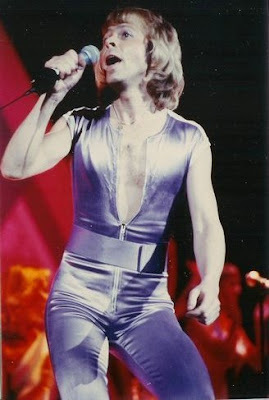 The bottle?? 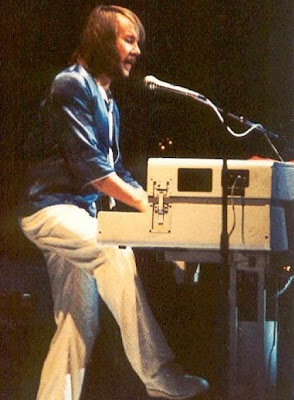 Agnetha: Look they write about your bum! 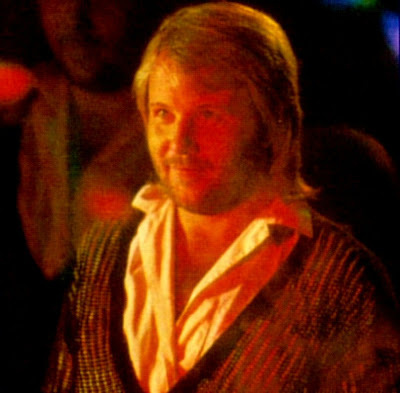 O so moody ABBA in the latest and hippest fashion in the second half of 1974. 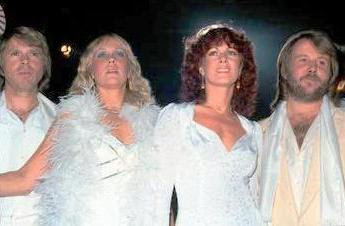 The ABBA members on stage during the ABBA tour in the autumn of 1979. 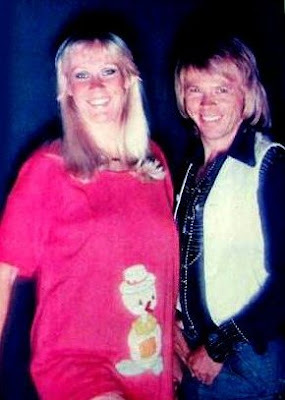 Benny and Bjorn during an interview in Sydney while touring Australia in 1977. 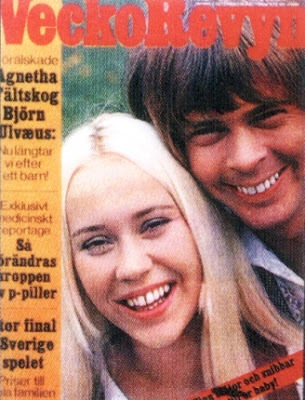 The two young couples on the cover of the Swedish magazine Vecko Revyn in the very early Seventies. 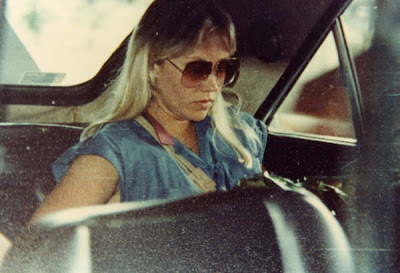 Agnetha in 1978 and Frida in 1979. 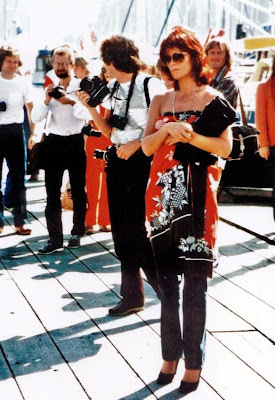 ABBA (with a pregnant Agnetha) in Stockholm in the summer of 1977 while working on ABBA The Album. 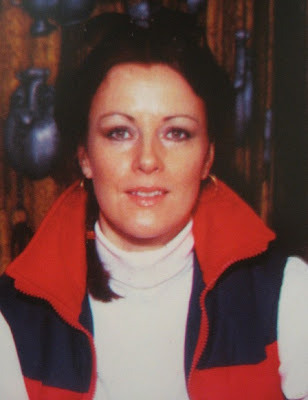 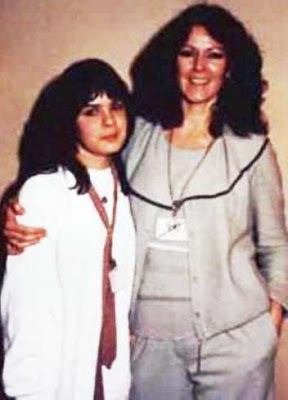 Agnetha in 1979 and Frida in 1980.